Flavius Julius Valens Augustus was Eastern Roman Emperor from 364 to 378. 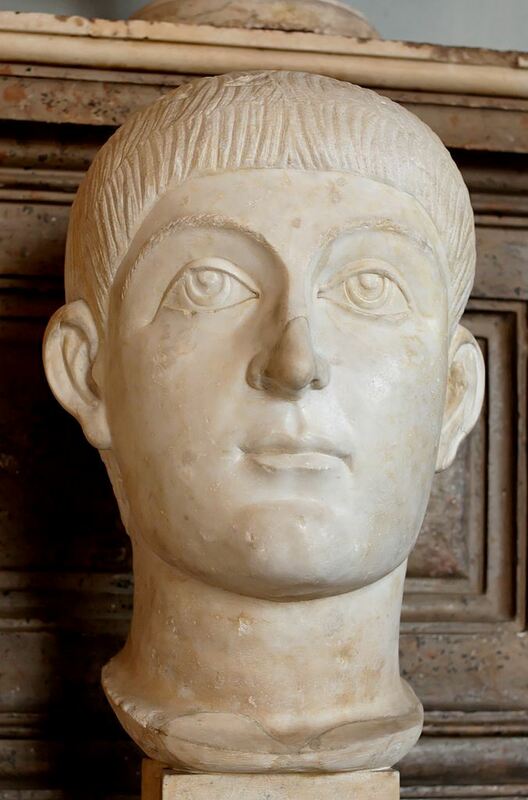 He was given the eastern half of the empire by his brother Valentinian I after the latter's accession to the throne. He was a careful administrator, but very suspicious of plots and without any military merit whatsoever. In 378, Valens fought the combined forces of the Visigoths at Adrianople. The battle was a complete disaster; more than two-thirds of the Roman army was annihilated - and Valens dead. He was succeeded by an inexperienced Gratian, only 19 years old.